Through all of the chaos of moving long distance, Steve and Don and staff shed sunshine and smiles. They put on a fabulous 3 day sale. Would I do it again? Would I use them again? YESSIREE!!! Excellent service from Lott's . Steve and Don both are very professional and knowledgeable. They did a fabulous job from first introduction to the final close out. Highly recommend Lott’s ! Enjoyed so much working with Steven and Don. I was very impressed by their professionalism and knowledge. They are also truly caring people. What I had delayed and had dreaded, they made so easy and painless. They were great in keeping in contact with me throughout the process as I was not local. Also, I had coins and jewelry in the estate and Don’s knowledge and process of selling these was amazing. Thank you to these guys! I cannot say enough good things about them. 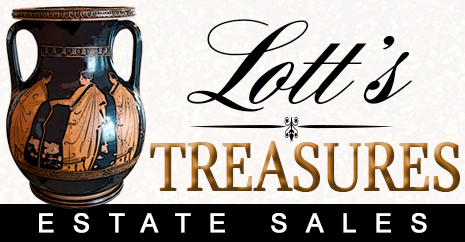 It was overwhelming to be put in charge of getting rid of the items in my uncle’s 4500+ sqft home but Steven and staff of Lott’s treasures really took care of the situation. They worked very hard to declutter a lot of the stuff and stage them for the sale. I especially liked how I was carried along with every process involved and the transparency of Lott’s treasures. I definitely recommend them for your Estate sales.